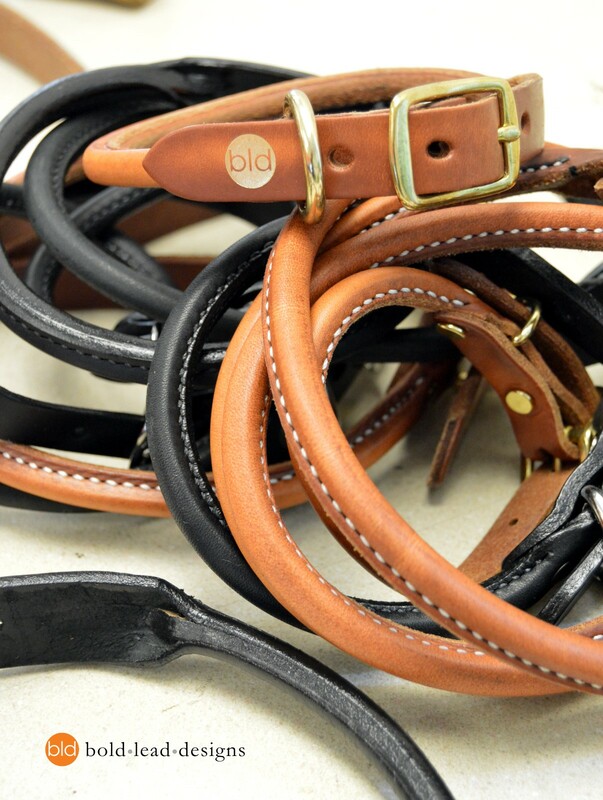 Beautiful and made to last, this elegant Rolled Leather dog collar is everything you expect from BLD. 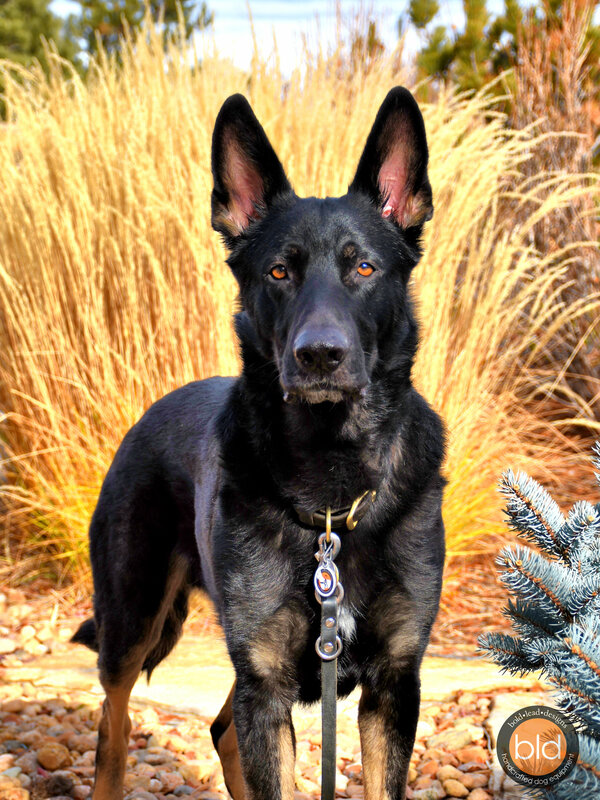 Handcrafted from the same premium, supple leather and durable solid brass hardware as our leashes and harnesses. A perfect match for any of our leash designs. 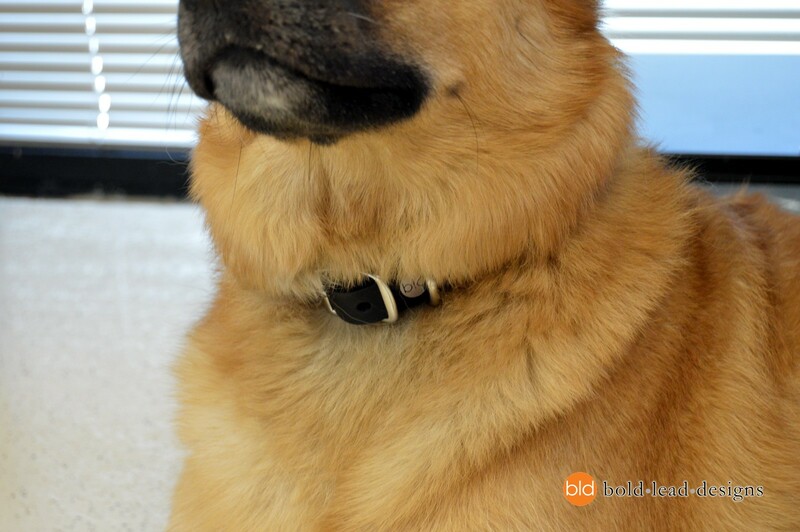 This collar design has been recently updated to offer a wider range of sizes and is more durable than ever! Sizes for almost any breed dog! Finished to order. Allow 2- 5 business days to ship. 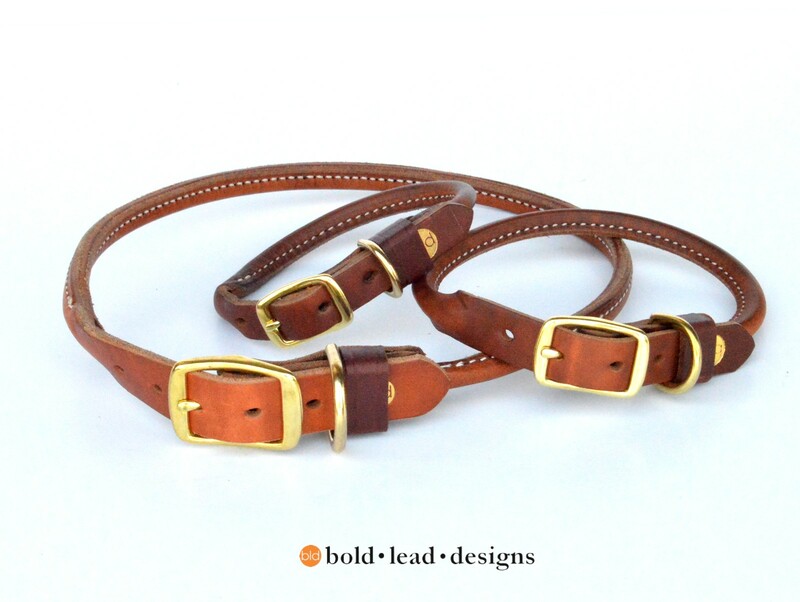 Made exclusively for BLD by artisan craftsmen in Ohio, and completed to order in our own workshop, these collars are the best quality you’ll find anywhere. The BLD logo assures quality and a lifetime of durability. 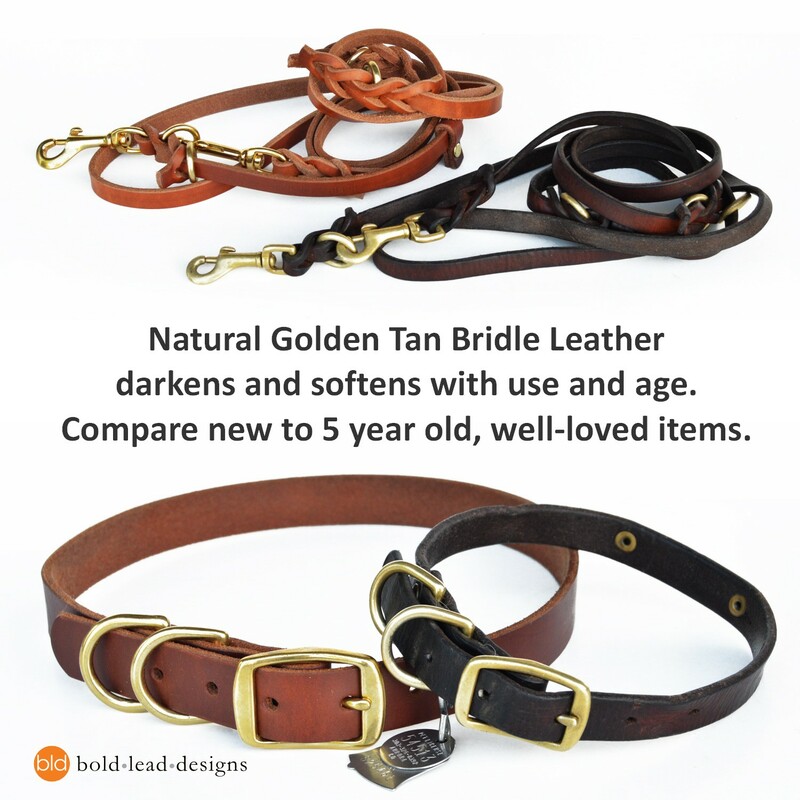 Our hardware is always solid brass, unlike the cheap nickel or steel buckles found on other dog products (chrome plated solid brass for silver color). Fastened with a screw post for optimal structural strength, and a leather keeper loop to keep the billet end from curling over time. 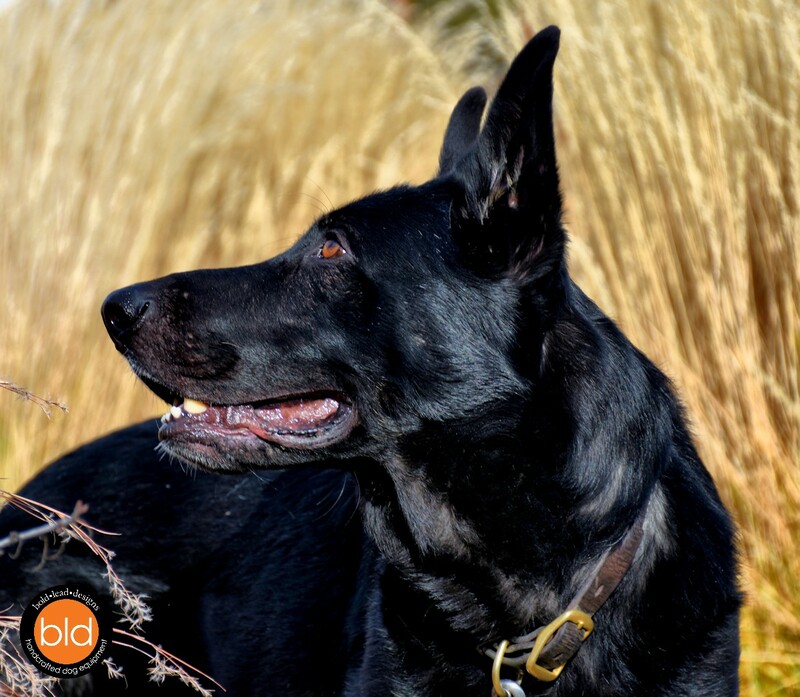 Our collars also don’t have the stiffeners required for less expensive leather; you’ll appreciate the quality and suppleness immediately. The round portion of the collar is triple-layered leather and expertly stitched, then rounded and sealed for a smooth surface. Our leather is from premium American hides. Yes, all this costs more, but we believe it’s worth it for the superior feel and function. Measure your dog’s neck as you want it to fit (do not add extra length). Or measure the length of your existing collar to the hole that fits. 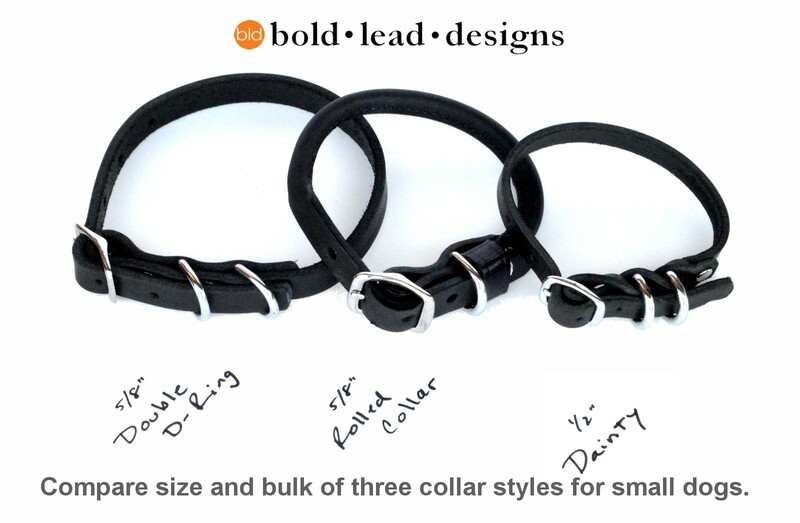 Our collars sizes are measured to the holes that fit, to reflect the dog’s actual neck size! We think this is more accurate. 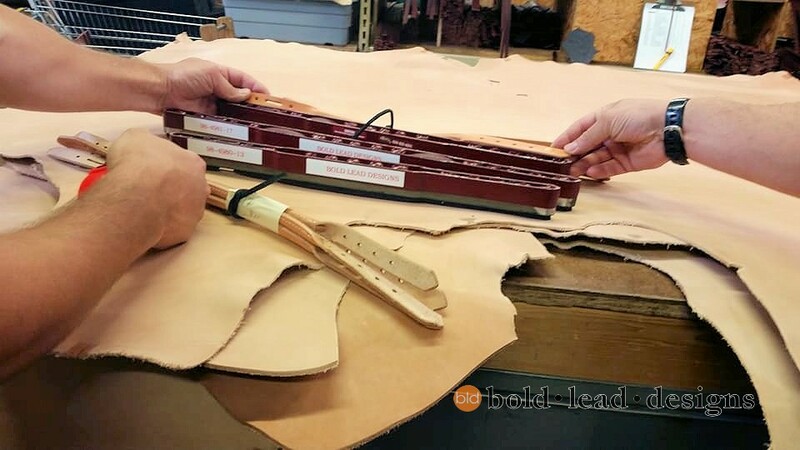 The layered leather and stitched construction will have minimal stretch; measuring is important to get the right fit. 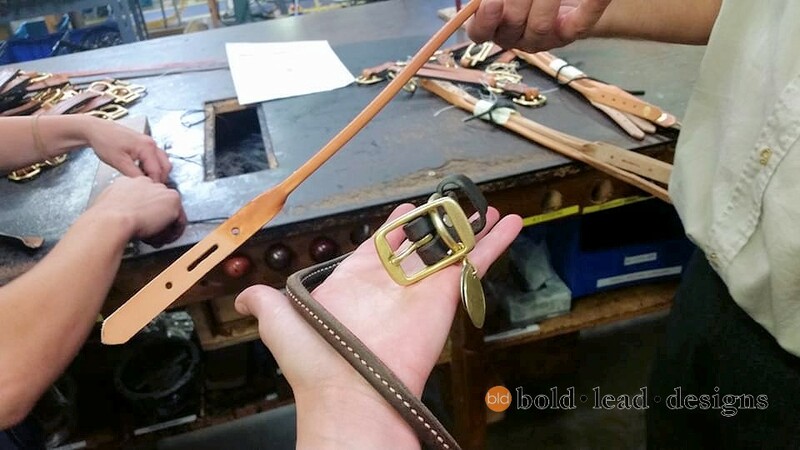 Width refers to the width of the leather at the buckle. The round part is narrower, and the same on all sizes. 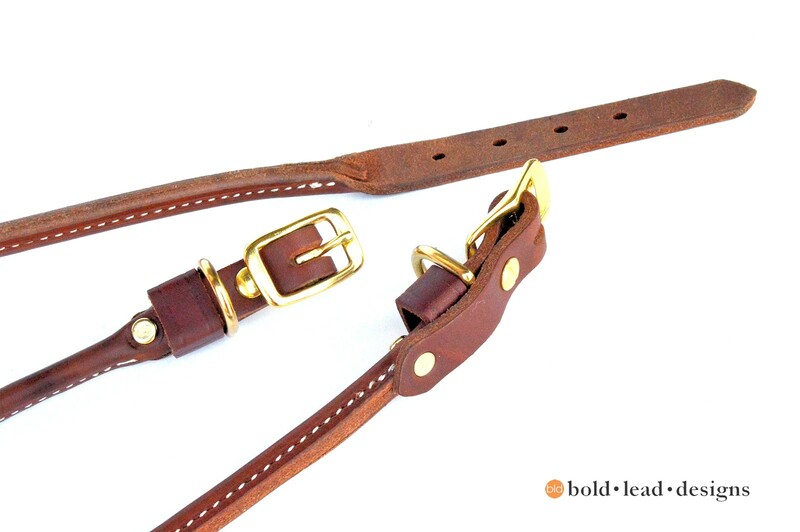 Color: Golden Tan Bridle Leather with solid brass hardware. This natural leather is hand oiled to bring out the rich color and suppleness. Tan leather darkens to a beautiful chestnut brown with use and age. Stamped with gold BLD logo. Solid brass hardware is standard. 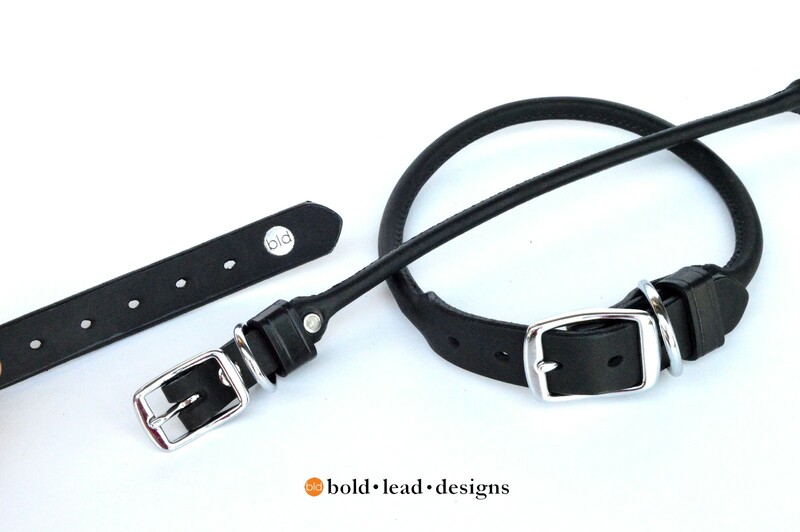 Black Latigo Leather with chrome plated solid brass hardware. The rich black is colorfast and does not fade or bleed. Stamped with silver BLD logo. Chrome plated solid brass hardware (SILVER color) is standard. Note: brass hardware can stain white/light coated dogs; the oil in dogs’ coats can create tarnish, a harmless chemical reaction.